THE late Bart Cummings was the man of the hour when the Melbourne Cup Parade held a special tribute to the great horse trainer on Monday. 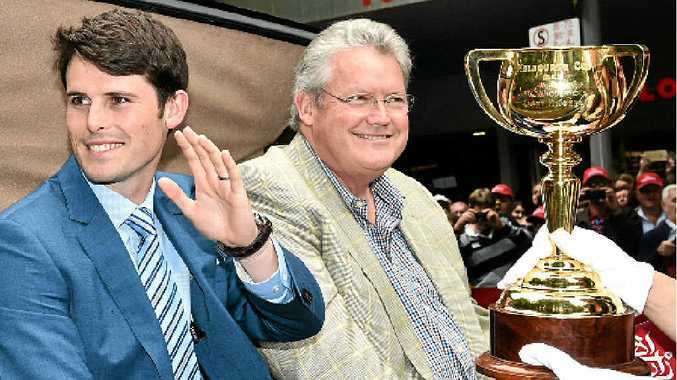 Ahead of the big race tomorrow, five members of the Cummings family joined thousands of fans under grey skies to celebrate the Cup and his contribution to Australian racing. Bart's son Anthony said it was a special tribute to the man who trained 11 winners of the Melbourne Cup over a remarkable career. The race this year features 11 internationals in the 24-strong field, with Fame Game, Trip to Paris and Max Dynamite among the runners with the shortest odds on several betting agencies.